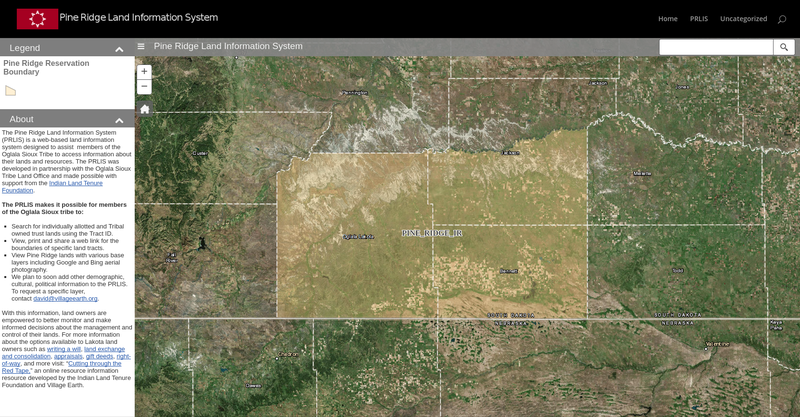 The Pine Ridge Land Information System (PRLIS) is a web-based land information system designed to assist members of the Oglala Sioux Tribe to access information about their lands and resources. The PRLIS was developed Village Earth (a 501(c)(3) not-for-profit in partnership with the Oglala Sioux Tribe Land Office and made possible with support from the Indian Land Tenure Foundation. 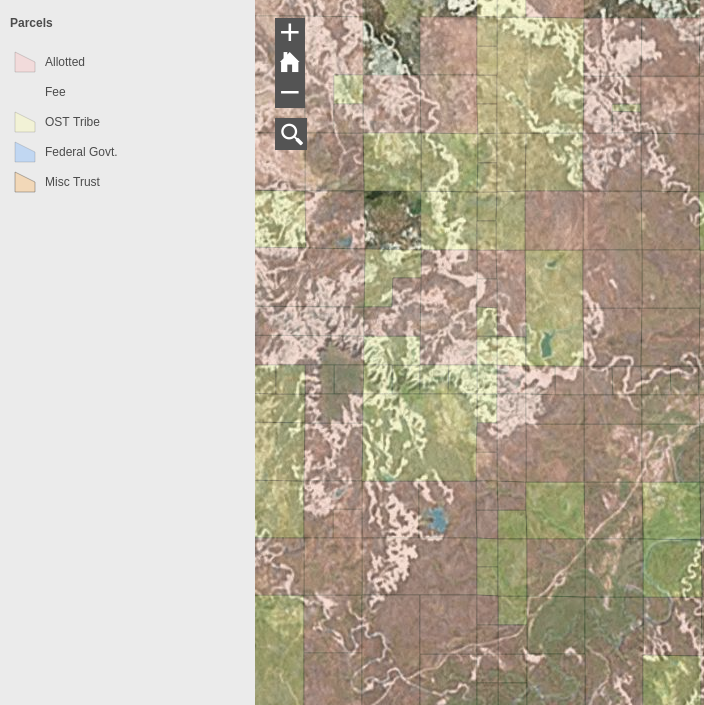 Search for individually allotted and Tribal owned trust lands using the Tract ID. 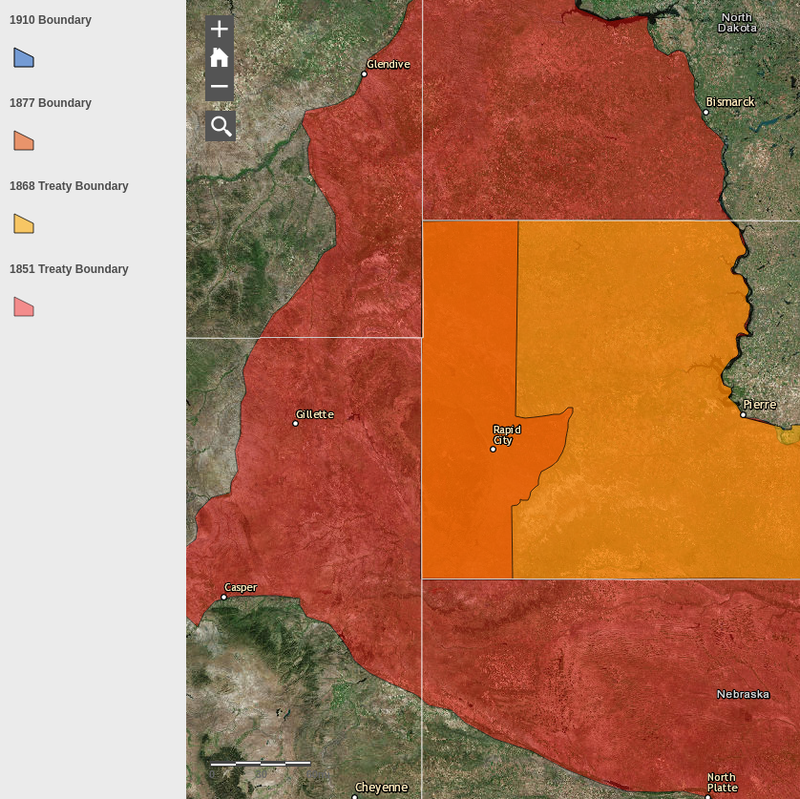 View, print and share a web link for the boundaries of specific land tracts. With this information, land owners are empowered to better monitor and make informed decisions about the management and control of their lands. For more information about the options available to Lakota land owners such as writing a will, land exchange and consolidation, appraisals, gift deeds, right-of-way, and more visit: “Cutting through the Red Tape,” an online resource information resource developed by the Indian Land Tenure Foundation and Village Earth. The parcel layer is from 2010 and is symbolized based on majority ownership. Pink for allotted lands (lands with majority ownership held by individual American Indians, brown for lands where the Oglala Sioux Tribe holds majority ownership and blue indicates lands that have a fee simple title. These lands, some of the most productive farm lands on the Pine Ridge, were originally allotted to individual members of the tribe but were quickly alienated through a process caled forced fee patenting and sold to Euro-american settlers through known as Forced Fee Pateting, a practice that was ended in 1934 because of the negative impact it had on Tribes across the country. 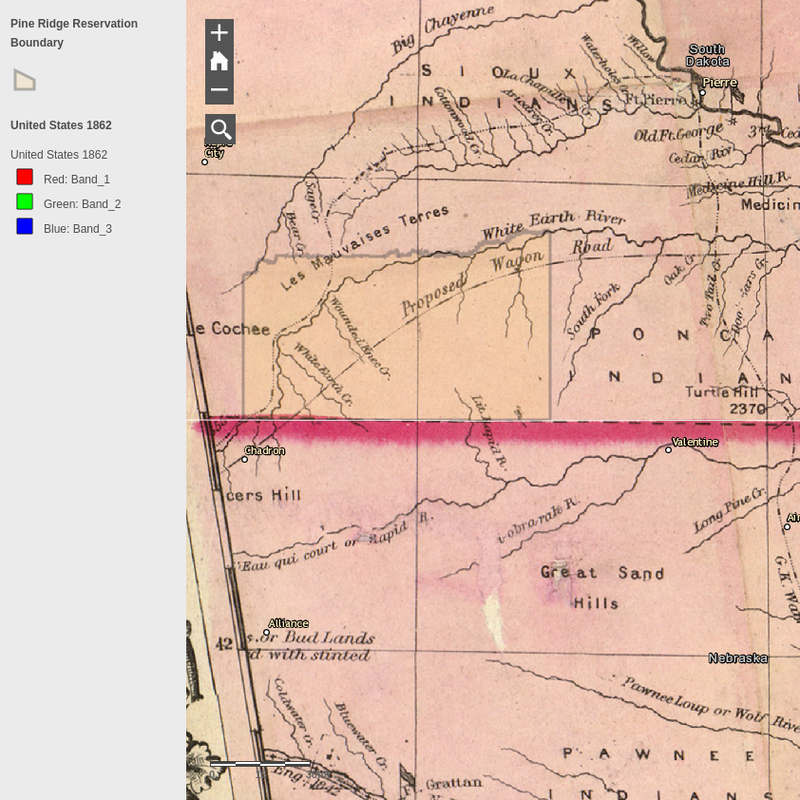 The PRLIS “Parcel Layer” links to the Bureau of Land Management’s Land Patent Database. 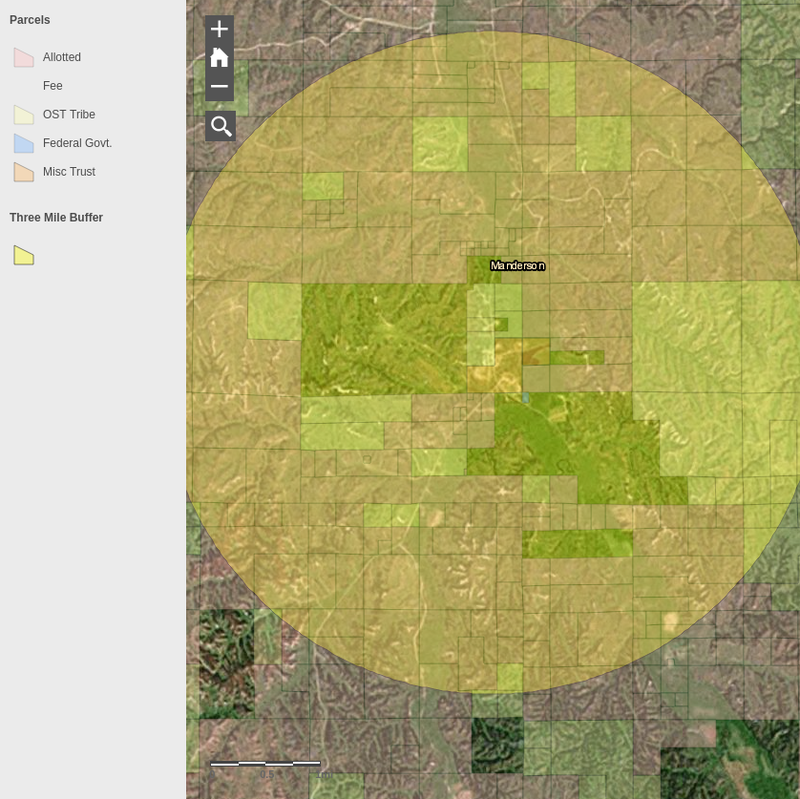 This functionality is valuable for members of the Oglala Sioux Tribe who are trying to figure out when their allotted lands were originally issued to their ancestors and in particular, when their allotted lands were converted to fee-simple status and liquidated. This is the first step to uncovering why certain lands were “fee-patented” and liquidated.Village Earth and the LLRP believe the injustice and inter-generational affects of forced-fee patenting must be researched and exposed. This resource is major step forward toward this goal. The PRLIS includes layers with the historic boundaries described in the Treaties of 1851, 1868, 1877 and 1910. 2014 overall SVI, census tract level. The Social Vulnerability Index (SVI) uses U.S. Census data to determine the social vulnerability of every census tract. The SVI ranks each census tract on 15 social factors, including poverty, lack of vehicle access, and crowded housing, and groups them into four related themes. 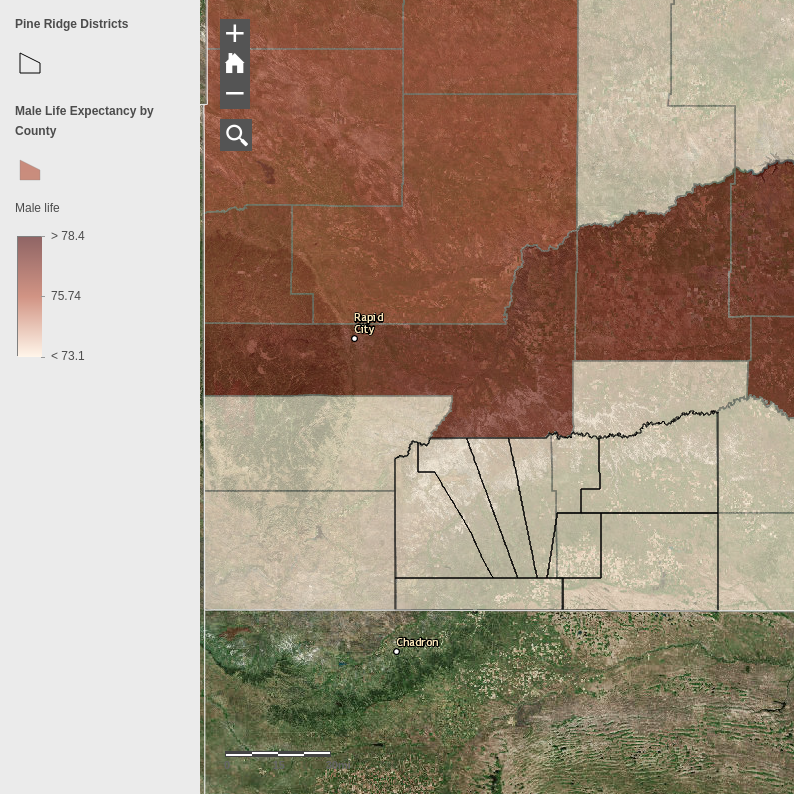 Access seamless 2017 county plat maps for Oglala Lakota, Jackson and Bennett Counties, the three counties that make-up the Pine Ridge Reservation. 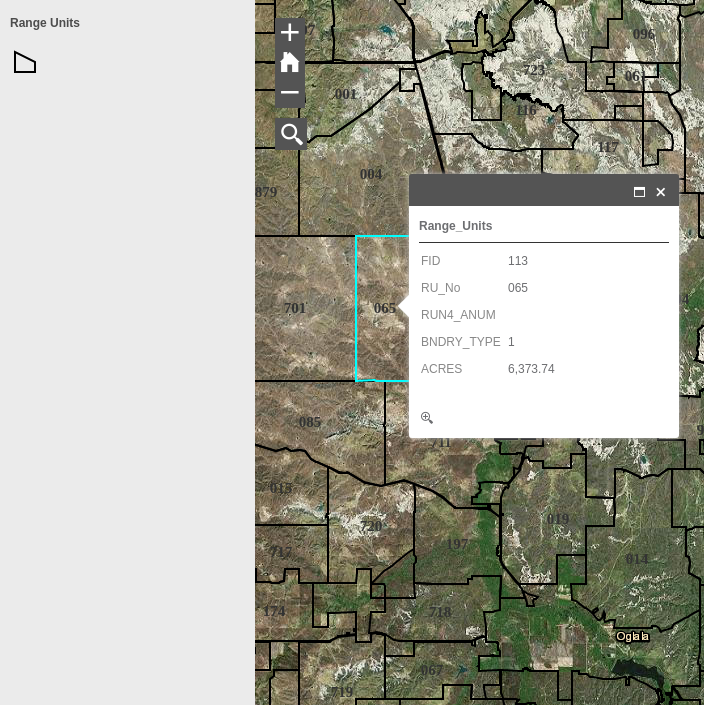 The maps show ownership information for “fee” or “deeded” lands within the boundaries of the Pine Ridge Reservation. The liquidation of allotted lands began with the the Burke Act of 1906 which authorized the secretary of Interior to remove trust protections and issue fee patents to Native Americans that are considered “competent”. While the practice of forced-fee patenting was supposed to end with the Wheeler-Howard Act the secretary of interior still had the power to issue fee patents to individual land owners upon petition. During the post WWII relocation era where federal policy shifted to encourage Native Americans to move off Reservations and a fill the growing need for wage laborers in urban areas of the United States, the BIA approved almost all requests for fee patents. According to the USDA 2012 Census of Agriculture for American Indian Reservations, the market value of agriculture commodities produced on the Pine Ridge Reservation in 2012 totaled $87 million. Yet, less than 1/3 ($24 million) of that income went to Native American producers. The PRLIS includes a layer that includes a three-mile buffer around the major towns on Pine Ridge. This information is valuable for Tribal members wanting to exchange their fractionated interests of land for a contiguous piece of Tribal land. 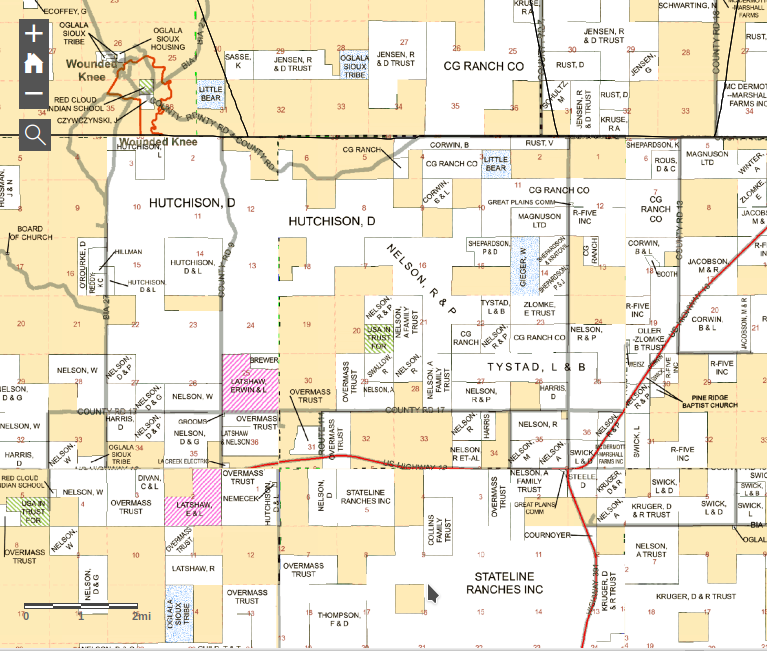 According to Tribal Ordinance 85-17, Tribal land cannot be exchanged if it is surrounding the townsite of Pine Ridge and the established villages within a radius of 3 miles of such settlements. 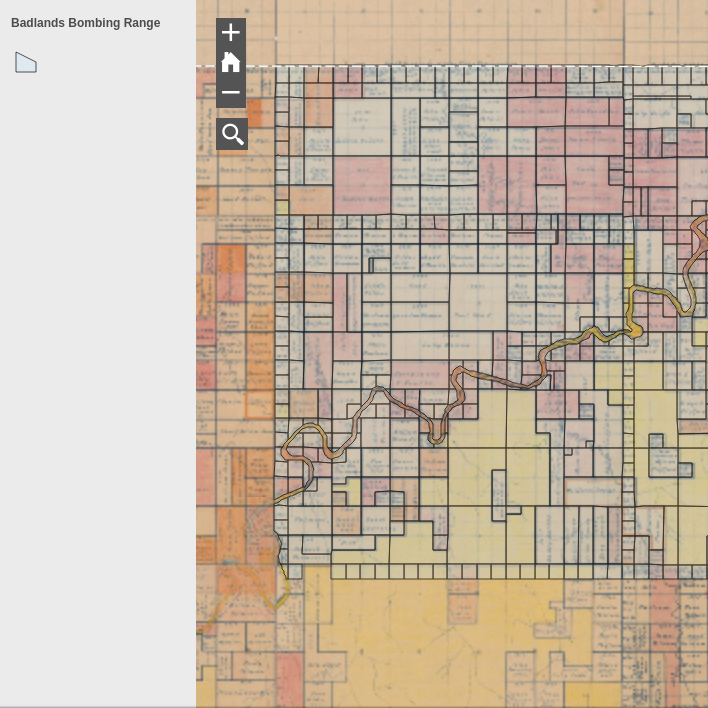 This is a digitized and georectified version of the original allotment map of the Pine Ridge Reservation. 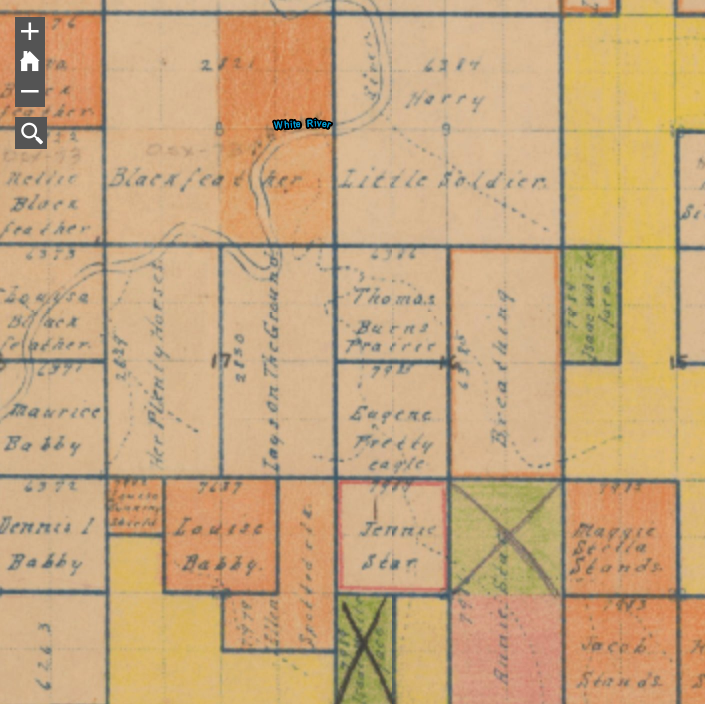 The map contains the original allotments along with the names of the original allottees as well as hand drawn notes and color-coding to designate different classes of lands. 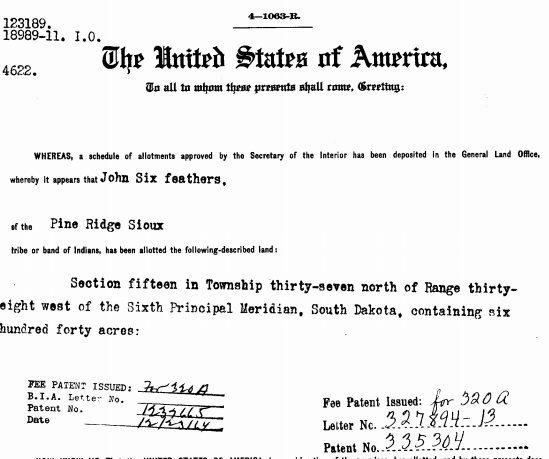 Until now, this information was not available to members of the tribe and over the years, many people have asked us to try get this information for them so they can can begin to reconstruct the history of their lands, especially lands liquidated by the Federal Government through a process known as forced fee patenting. The creation and issuing of allotments began on the Pine Ridge Reservation in 1904, under Executive Order of July 29, 1904 and continued until 1923. During this period, government officials carved up the Reservation into parcels and issued them to Lakota families. On July 20, 1942 the War Department advised the Commissioner of Indian Affairs that they would be taking over an area of 40×15 miles across the northern portion of the reservation. While a small portion of this land lay within what was then Badlands National Monument (337 acres), the vast majority of the land was located within the boundaries of the Pine Ridge Reservation (nps.gov). The dispossession would impact some 125 Oglala families. And while the dispossessed families were to be supplied with some relocation compensation, assistance and supplies, actual accounts vary as to how much the families received if any at all. Civil War map from the David Rumsey Historical Map Collection- “Confederacy green, North red, border states yellow. A pasted down sheet in the bottom margin explains the color coding and gives population statistics for the three regions. 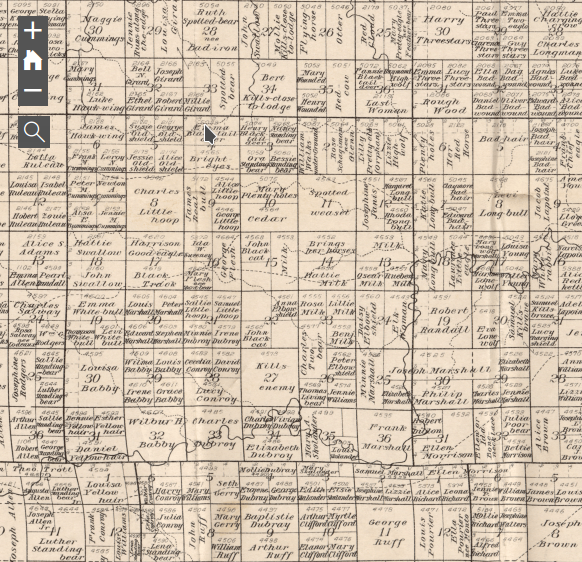 There is an ad for “Colton’s…Complete Series of War Maps” on the verso of the cover and a pasted down list of Union and Confederate Political and Military leaders on the verso of the map.” Note: “Proposed Wagon Road” in north section of Pine Ridge Reservation.